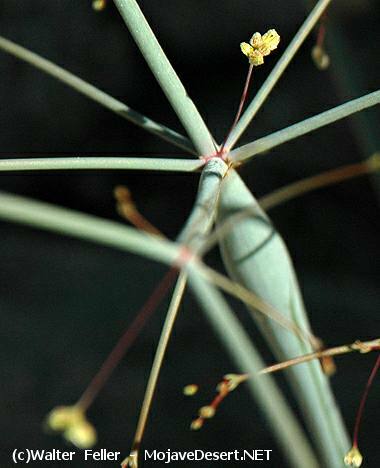 A slender, leafless plant growing to over two feet bearing tiny yellow flowers. Blueish stem is inflated at the node giving the plant its "trumpet" shape. Common throughout the Mojave Desert below 6,000' in gravel flats and sandy washes in creosote bush, blackbush and sagebrush scrub. 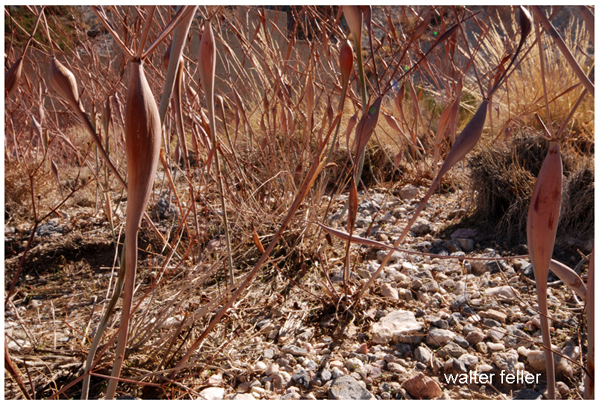 Also found in similar soils in Joshua tree, and pinon-juniper woodlands. Native American plant use: Indians would use the inflated stem portion of the plant as a means to smoke tobacco.